Bump recently received an update to version 3.5.3, which adds support for sharing Dropbox files. Dropbox support is a long time coming, considering it’s been a popular service for storing and sharing files in the cloud since 2008. Unfortunately I was unable to test Bump’s implementation of Dropbox on either of my devices. It seems I did not use one of my usual throwaway passwords on Dropbox, as I repeatedly guessed the wrong codes. As a result Bump now crashes on my 3rd generation iPad and my iPhone 4 whenever I attempt to use the Dropbox file sharing feature. Even after resetting my password, no amount of resprings, reboots, or reinstalls were able to fix the service for me. The problem seems to be with the Dropbox feature in the app itself, as I am still able to use the official Dropbox app, and all of Bump’s other features seem to work. Other users seem to be able to use Bump to send file links through Dropbox. Unless this is a bug specific to jailbroken devices, the takeaway lesson here is not to enter the wrong password into Bump. Ever. Hopefully Bump will receive an update that can forgive the klutzes among us, and we will all be able to share our Dropbox files with our less hapless friends. One last cool tip: you can Bump files to desktop computers by pointing the browser to http://bu.mp. 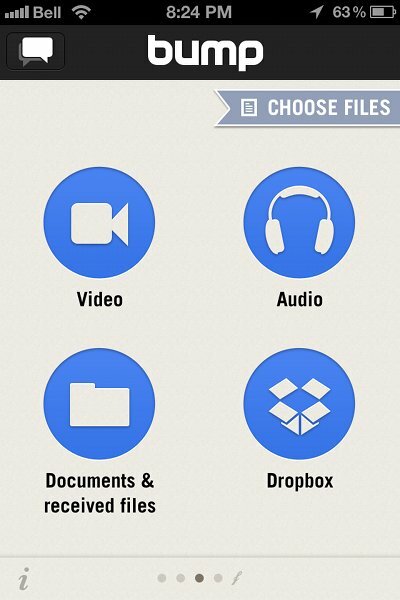 It’s great if you need to quickly copy over a photo, presentation, or even a file link from Dropbox. 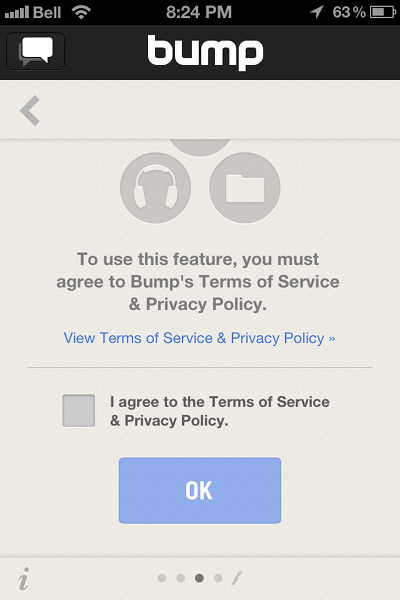 Did Bump’s Dropbox feature work on your phone, or did you manage to break the app on your device too? Download Bump from iTunes and let us know in the comments section.